CHESAPEAKE, Va. (WVEC) -- A Chesapeake 3rd grader is getting national recognition for her cursive writing! 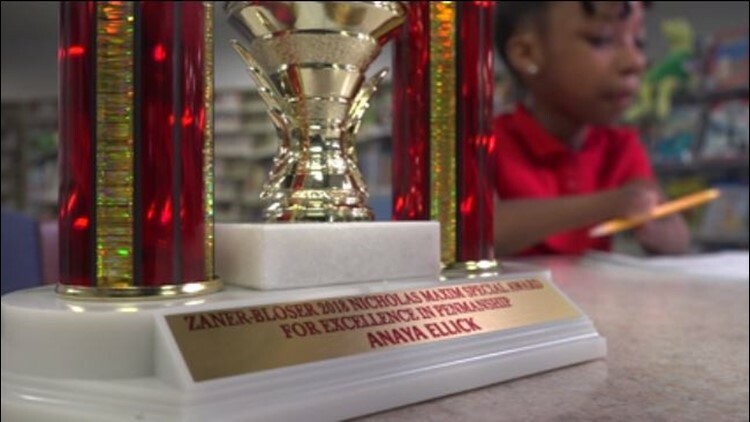 Anaya Ellick accepted an award Wednesday for her penmanship skilled, and she was born without hands. At just 9-years-old nothing stops, Anaya. She won the 2018 Zaner-Bloser National Handwriting Contest, under the Nicholas Maxim category. Two years ago she won a similar penmanship award for her printing.